This mate cup is perfect for those who don’t want to use a traditional gourd. Ceramic cups are great if you suffer from acid indigestion (a natural gourd adds flavour and acidity to the brew) and is also more simple to care for, and more durable. Very stylish. There have many different types of stainless steel and plastic flasks to drink yerba mate. However over time people realised that the key was to have a proper spout (pico) which would not spill any water when serving. Until someone came up with this special spout called in spanish “pico cebador” which was specially designed for the South American market of Yerba Mate drinkers. These days pretty much everyone in Uruguay carry one of this. 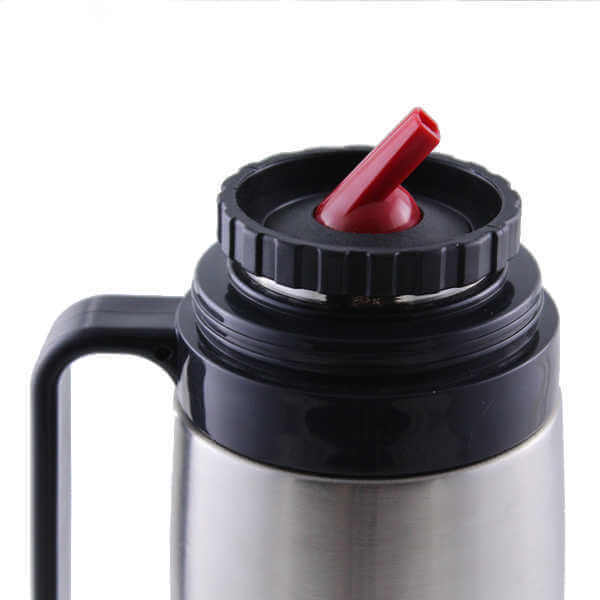 This stainless steel flask is is perfect for either cold or hot liquids and is ideal for precision pouring. The essentials I bought were very good quality as I expected from Urushop.